Ladies, another eligible bachelor in Singapore is now off the market. Former actor Vincent Ng, 41, has married the woman of his dreams after a whirlwind romance. The couple met through mutual friends in January, got engaged in April, and exchanged their vows last Friday (July 14). The martial arts champion told 8days in an interview that the wedding at Sentosa was a small and private affair attended by 100 of their closest friends and family members. They had a tea ceremony in the morning at Resorts World Sentosa Beach Villas, followed by a lunch reception at Equarius Hotel's Forest. So, who is Ng's bride? Mei Ling is 38 years old, works in the shipping industry, and very pretty, he said. A common love for sports brought the pair together, and their relationship developed quickly. He described his wife as mature, independent, and well-organised - traits he was looking for in a partner. "I'm very blessed and lucky to have found the person whom I'm so in love with at my age, and I'm very proud of her," he said. How did they decide to get married after dating for six months? "I guess we are both at a stage in our lives where we know what we want and we really enjoy each other's company," Ng said. He intended to pop the question when they went trekking in Nepal, but later changed his mind and brought her to a jewellery store to pick out a diamond ring instead. Ng had also planned to hold the wedding later this year but his father's passing in late April prompted him to bring forward the nuptials. He may hold a bigger party next year, he added. 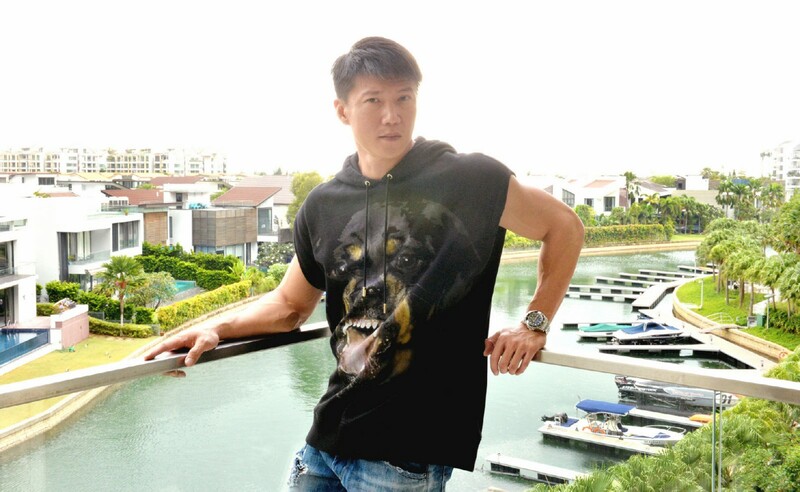 The newly-wed will also be moving out of his bachelor pad at Sentosa Cove into a three-storey terraced house near Ang Mo Kio next month, Lianhe Wanbao reported. And when asked if he'll be starting a family soon, Ng said he loves kids but will "leave such things to fate." The view from the balcony will lull a person into thinking that he is holidaying overseas. Ng said he has spent about $100,000 furnishing the unit, which is over 1,600 square feet. 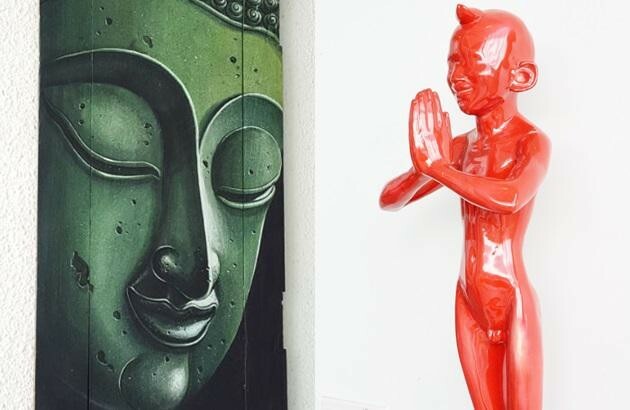 Step into Vincent Ng's Sentosa Cove condominium unit and you'll be met by a giant wall poster of our star in a flying kungfu pose. 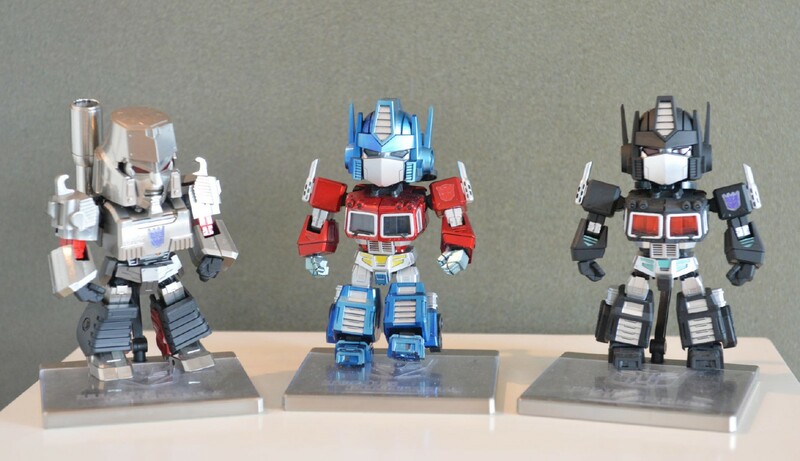 A trio of Transformers toys on a pedestal give visitors a glimpse into the Ng's playful nature, and perhaps allude to the "heroic" ideals that Ng holds. The white colour and sparse decor reflects the owner's personality - neat and full of positive energy.